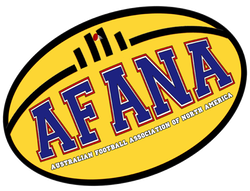 What is the AFL? Aussie Rules Explained. (5 mins) A good place to start. (2 mins) The basic features of the sport related to sports you already know. (7 mins) A bit irreverent in places but a good explanation of the basic rules. (HD)(4 mins) A very professional but easy to understand explanation of the basics of the game. (30 mins) A good summary of the history of the sport and some background on the sport as well as the basics. (5 mins) Highlights of one the 2013 finals. (13 mins) One of the greatest games ever played. (3 mins) Some spectacular catches known as "marks" from 2017.